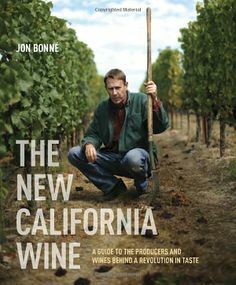 San Francisco Chronicle wine critic, Jon Bonné just released a fantastic new book titled The New California Wine, which takes a look at the change in California wine styles over the past few decades. Check out this excerpt from Gavin, featured in the book, along with the full article in the San Francisco Chronicle. Kudos to Jon Bonné and all of the great producers featured! “One thing that struck me,” recalls Gavin Chanin, “was how undifferentiated and un-terroir-like the high-alcohol, high-oak wines were.” But then, Chanin’s palate had been honed by his mentor: Jim Clendenen of Au Bon Climat, whose subtler style developed in the 1980s. And Clendenen’s wines were assailed during the Big Flavor years as not Californian enough. His Chardonnay talents are such that Gavin Chanin’s Pinot Noirs often occupy the background, but his work with this parcel north of the Purisima Hills – well known to Au Bon Climat fans – shows just how much we still have to learn about Santa Barbara’s Pinot geography. - 2011 Los Alamos Pinot Noir named in SF Chronicle’s Top 100 Wines of 2013!